Have you ever wondered how in the world to create awesome, colorful graphics and have then transfer them onto your shirt or bag, etc? Well now you can stop guessing, because today I am going to share with you How to Print Graphics Using Heat Transfer. If you have ever visited this site before, then you know that I love to use my Silhouette Cameo for almost everything. It is such a versatile machine that you really can do a lot of things easily on your own without spending a lot of money having someone else make them for you. Once you have all of your supplies together, it’s time to get started with your project. For this project I am creating a monogrammed shirt for my toddler to wear for school. Step 1: Create your project in the Silhouette Studio program that comes with your vinyl cutting machine. This is where you can either create your own designs, or grab some graphics from the Silhouette store. Step 2: Once you have your project created, you will want to mirror the object. This will print the project “mirrored” so that when you iron later, it comes back normal. Step 3: After you have your project mirrored and before you print, open up your registration marks window and add your registration marks. This needs to be done before you print. Step 4: After you have the registration marks set, it’s time to print on the printable heat transfer paper. 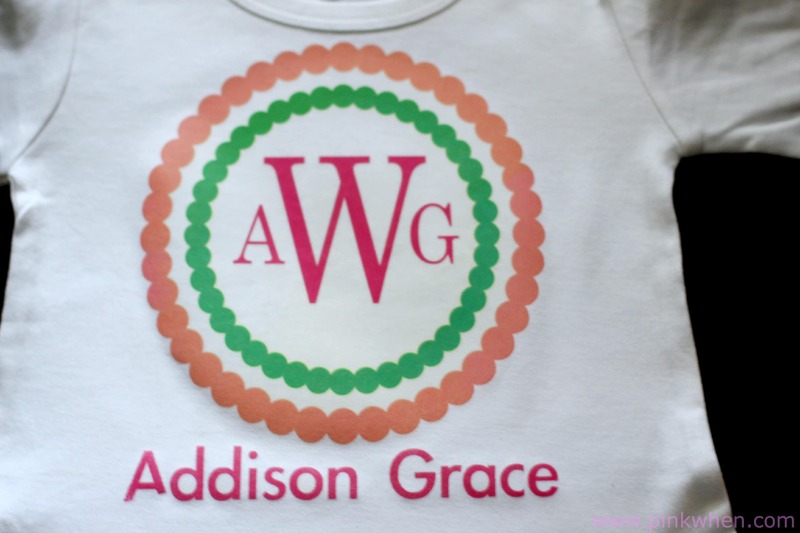 For this project I am printing onto a light shirt, so I used the Silhouette Printable Heat Transfer for light fabrics. Make sure you feed the paper into your home printer so that when it prints, it prints on the correct side. Step 6: Next, load your printable heat transfer onto the cutting mat and cut your design out. Make sure you have your blade adjusted to the correct setting. Then cut. Step 7: Remove all of the extra heat transfer and then place face down over the shirt. Add a thin cloth to cover, and then iron with your steam off, and the setting on cotton (or 345). Step 8: Allow to cool and then remove the backing carefully. You should be all set! To take extra care and have this shirt last as long as possible, wash in cool water with shirt turned inside-out. Now thru April 30th you can purchase a vinyl cutting machine and receive product at a HUGE discount. 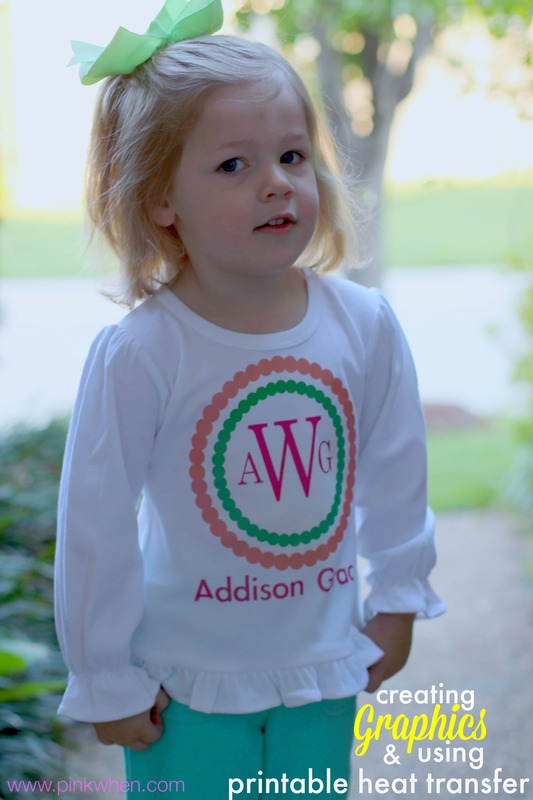 Or – you can save 30% off of all heat transfer products. You need to enter promo code PINK at checkout for your savings to be calculated. You can find all of these amazing savings when you go to the Silhouette America website. Just remember, in order to save, you have to enter in promo code PINK once you have your products in your cart. 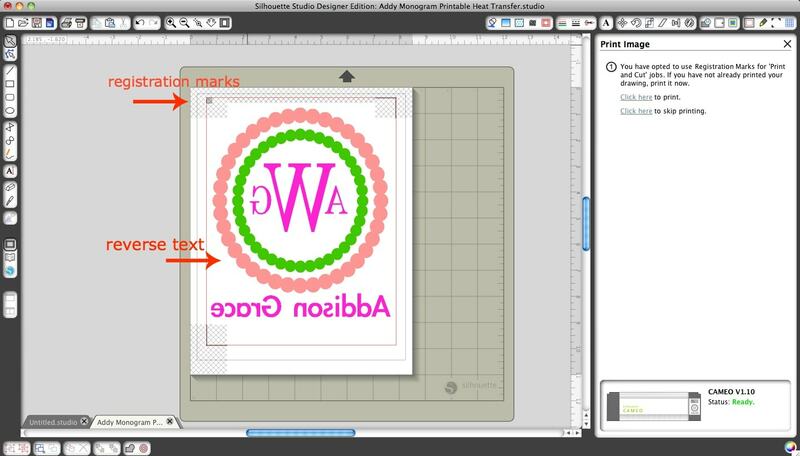 I hope you enjoyed this quick tutorial on How to Print Graphics Using Heat Transfer. If you are looking for other ideas with you Silhouette machine, you can find a few more here. I’m not a diligent person (big downfall) but I’d totally give this the attention it deserves. Your heart transfers always look so perfect! adorable!!! I’d love a vinyl cutter!! Dreaming ;o) Featuring this today for Create Link Inspire features. thanks for linking up! I’ve shared all over social media world.. hope you get the chance to retweet or share ;o) Stop on over and check out all the fun fabric projects for kids and babies at Nap-Time Creations! I currently have an HP 8700 series color printer/scanner combo. I am new to the Cameo but what is the purpose of the registration marks? Is there a tutorial you could point me in the direction of? I have been making shirts but not having luck with some of the vinyl sticking to the shirt once it has been washed — could you tell me which brand of vinyl you like to use? I have just started looking at machines and I am trying to decide which one to get. Can your machine make the glitter vinyl letters for shirts, tumblers and such? Also are there lots of options for little boy designs? I made a cute glitter ONE shirt for a little girl’s first birthday, and that was done using gold glitter vinyl. All of the machines cut vinyl, you just choose the vinyl you want. 🙂 There are a ton of designs in the Silhouette store to choose from. I had the same problem when I was using an iron to heat press the vinyl. Once I purchased a heat press I have not had that problem. Heat press makes all the difference! I have a heat press now as well, and LOVE it. Makes such the difference, and it’s FAST.